For three days following Mother's Day, this festival draws the media and artists from all over the Wasatch Front. Registration starts taking place in February. 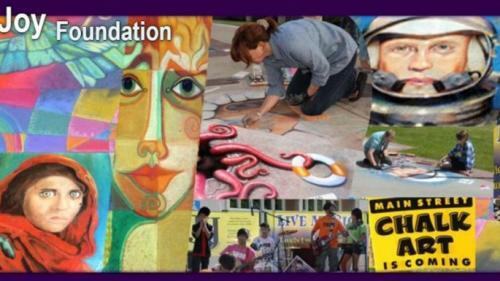 This festival is presented by Joy Foundation with the support of the city of Bountiful. Artists age 13 and up are encouraged to register. Art supplies are furnished by Joy Foundation with each registration. Cash prizes are awarded in three categories: 1st, 2nd, and 3rd place for both adult and youth 13-17. A prize is also given to the best team. Of course, Peoples Choice has become one of the favorite prizes by the artists.Don't miss this event! It is free to the public and open for four days. This will be our 13th year of providing fabulous family-friendly artwork that will truly amaze you.Location: Main Street Bountiful between 1st North and 3rd South.